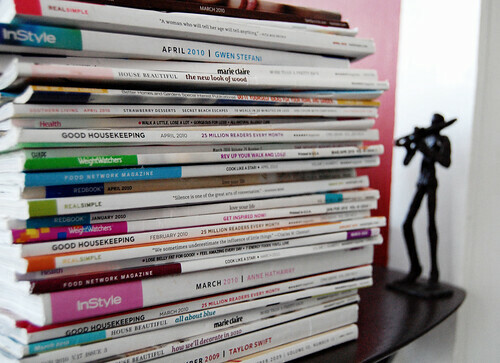 I may subscribe to too many magazines. What's something you need to catch up on? Oh books. I'm hoping to read 50 books this year and I think I'm on #6? Yikes. Also, I love Real Simple. It is my one magazine and I lovelovelove it! I'm behind on just about everything. Magazine reading is one of them. That's an insane stack! !